Fernando: ¡El Habla Español! 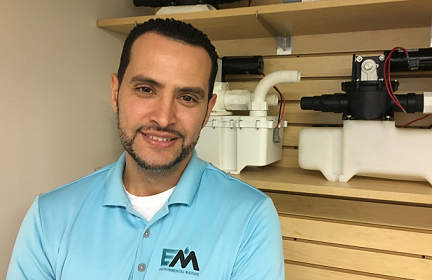 An 8 year member of the Environmental Marine team and now Sales Manager, Fernando oversees all customer transactions. He also specializes in helping customers based outside the US. Fernando is diligent in ensuring that customers leave equipped with the parts and spares needed for extended operation away from home port. Chris: Now over 2 full years with us, Chris's patience and careful attention to the specific needs of our customers makes all the difference. He specializes in helping customers who are not as familiar with the inner workings of Sealand/Dometic toilets, giving easy-to-understand guidance on working through the intricacies of marine sanitation systems. Celso: Celso speaks both Spanish and Portuguese. 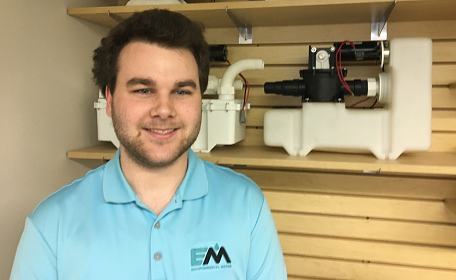 As our newest technician, he is quickly learning our systems and is eager to help you determine the correct parts you need. Celso will pack up and ship your order in minutes! Sue: A 20 year member of the Environmental Marine team, Sue is our most experienced technician. 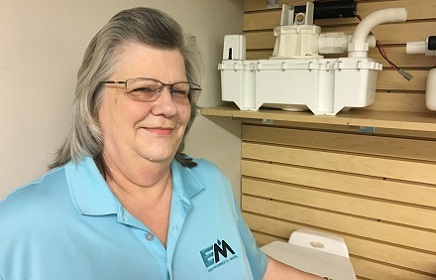 With an encyclopedic knowledge of the parts and toilets offered by Dometic over the years, Sue is the go-to problem solver for complex issues. If Sue doesn’t know it, nobody knows it. 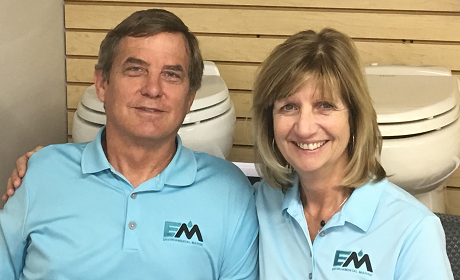 Mary & Tim: The owners of Environmental Marine Services, Mary oversees the day-to-day business. 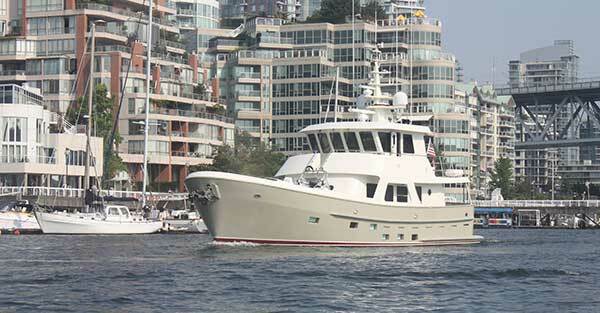 Tim is a marine engineer who spends most of his time operating his field servicing business, Griffin’s Yacht Services. Griffin's Yacht Services is backed by Tim’s 35+ years of experience in marine engineering and 10+ years as a Dometic Sanitation dealer. Environmental Marine benefits from Tim’s unrivaled experience and technical knowledge in providing solutions to the most complicated problems our customers bring to us, as well as Mary’s big-picture leadership and attention to detail. We are your source for Sealand Vacuflush marine and RV toilets. We carry Vacuflush parts, Sealand T pumps, vent filters, macerator pumps, RV holding tanks, marine holding tanks and accessories. We carry the entire Dometic SeaLand product line including SeaLand Vacuflush, Traveler Toilet and Sanipottie. If you need replacement parts, a repair kit or a rebuild kit for your marine, or RV toilet or you need a water tank, holding tank, a valve, vacuum pump, macerator pump or fitting—we've got it in stock for you. We are proud to be the authorized Sealand VacuFlush Distributor for Florida, Alabama, Georgia, North Carolina, South Carolina,Tennessee, Puerto Rico, and the Caribbean. We can provide same day shipping of parts anywhere in the world if you call us at 1-800-522-2656. We always recommend following a regular maintenance schedule for your SeaLand products to ensure maximum usefulness and lifespan. Gaskets, seals and pumps take a lot of abuse in the confined spaces of an RV or yacht. Combine that with many guests who might be first time users, with saltwater, and with months or years between uses--and perhaps maintenance--and you'll understand that you need a trusted source of parts for occasional repairs. 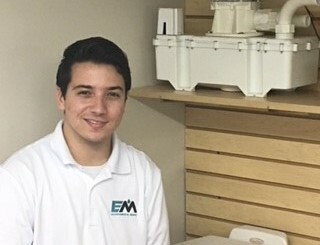 Environmental Marine Services carries the repair kits that make it a breeze to efficiently maintain or repair the sanitation systems in your RV or boat, organize your spare parts, or quickly take care of that "unexpected" emergency you'd been hoping wouldn't happen until next year. Speaking of spare parts, if there is a journey, voyage, crossing, cruise, or delivery, in the near future, what are the #1 and #2 rules? #1.Prepare well and #2 Carry plenty of spares parts! A remote port, boatyard, R/V park, or mechanic may not have the spare toilet parts you need when you need them and that may lead to an unexpected and costly layover. Take a look in your parts drawer and see if there isn't something you should pick up before you go. SeaLand conveniently provides rebuild kits, repair kits and replacements parts you need for the task. If you own a VacuFlush, Traveler or SaniPottie or are looking for new marine or R/V sanitation products, you've arrived at your destination. 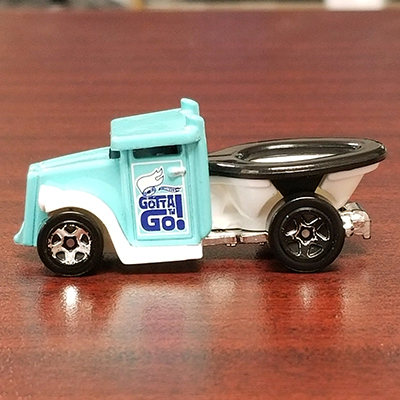 Take a look through our online warehouse for the products, parts, tanks, pumps or kits that will make you look like a hero when the chips are down. If you need assistance that is not provided by our Website, we'll be happy to help you by phone at 1-800-522-2656.